We close off a quiet week with a few fun photos, courtesy of Alys. Zenyatta and her boys are delighting in the final days of spring. Break out the fly masks, here come the dog days of summer. As you can see, Coz has found a new way to keep himself entertained, it’s called a Jolly Ball. The farm likes to give them to horses that like to stay busy. Coz loves his! Best of luck to all those participating in the Belmont Stakes. Have a great weekend. I so hope Orfevre will be OK. Sure wish there was a Web Cam at the Farm or they would take lots of pictures of him and maybe a video just to let us see him. It will be hard not seeing him. I remember last year when they gave him rest for the summer. There was hardly no news about him for it seemed like a very long while. I know he needs the rest and he will be in my prayers. Love You Orfevre. Anybody heard any news about Jackson Bend. I so hope he’s doing well also. He’s a real special boy. Felt so sorry for him when he got knocked out. Oh Paynter, I didn’t want you to be on a race tract again. But you are. The one think I can do is pray for your safety very hard. I have already been praying for you a lots. Coming home from work today I was praying real hard. May the Good Lord be steadfast with you. Safety and a long life I pray for you and may God Grant you both. May the Good lord be riding with you. I will be praying for Paynter too Peggy; his welfare is so important to me too as I am sure us all. It is a nervous time indeed!! I think everything will be fine. I always hope for everyone to return safe after any race. Paynter would not be sent out if he wasn’t 100% healthy and I think he will do just fine. Win, lose, or dead heat, he will always be considered a winner and a legend. I’m wishing him and all racers the best of trips and for a safe return. Wanted to wish a warm welcome to Penny and just loving horses has brought many to this site. 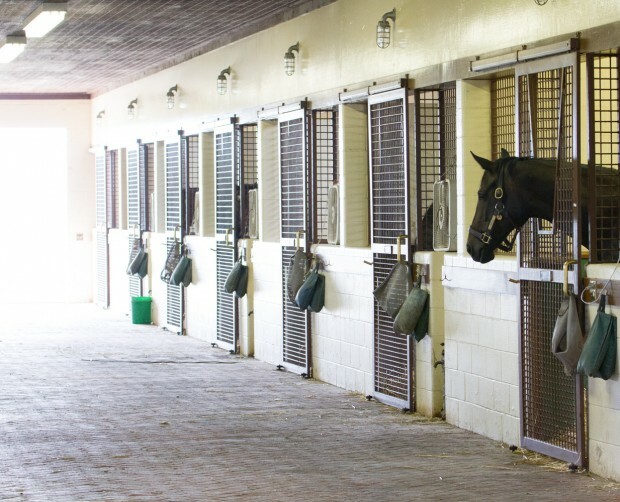 Zenyatta is always our “chicken soup for the soul.” There is always a lot being contributed by many. We can always be lifted up by reading and seeing the posts, pics and videos on our Queen and her handsome sons. I can only say enjoy the experience. Sad to hear about Ramon retiring, but I had a feeling he would not be able to return and if he cannot be 100 percent, then it is better he is not taking the risk and will be there to raise his sons. I will be away for a while and will check from time to time in for any new pictures of Z and the boys, but will not be posting much if at all. I hope to read and keep up with all the happenings. Please know my heart is with all here. Janet, I, too, hope everything is alright with you. Come back soon! I have always enjoyed your posts and will miss them. Take care and come back soon. Hope all is well with you, I enjoy your post and will miss you. Please come back when you can even if it’s periodically. Hugs and blessings. 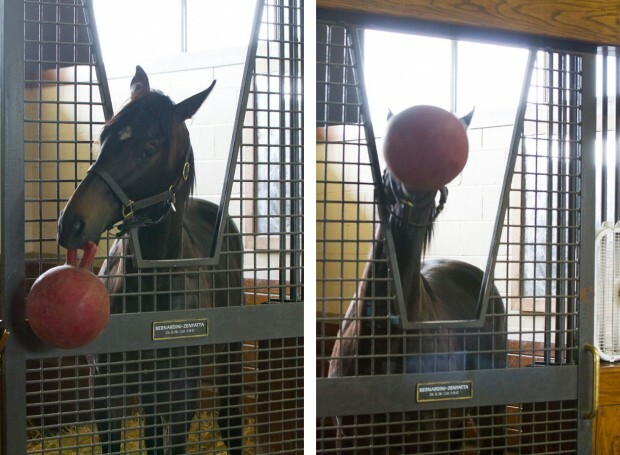 Whoever took the pictures of Coz seemed to be enjoying his Jolly Ball as much as he was. I could watch him all day,precious boy! Hi all! Frito our more frail older horse has somehow broken down Sirs fencing again, actually another two times. It is fortunate that one head person lives a block away and drives by and looks. At any rate when I came to do chores I saw the writing on the board that Sirs added pasture had been compromised so to leave Sir gated into the goat pasture only. The three other musketeers went into the additional pasture for Sir grazing like kings and queens. How funny! They have the whole large upper pasture and the balance of the lower, but they just wanted to graze where Sir had been grazing. I think they are making a statement or they want whatever Sir has. What do you think? Anyhow, I drove back out that evening and dragged my husband as he has stronger hands to fix and repair the fencing for Sirs pasture. Liz’s sons came and added a third wire fence. Both Liz and I wish we had a servalence camera to see how Frito is actually doing things. Sir has been feeling so much better since the chiropractor that his behavior has changed to passive at least to humans. There is still this Frito/Sir both gelding stallion thing though. I believe he is in less pain. I never realized my husband is afraid of being close to the horses. This week Litl Jo, as husband walked out to Sirs fence line followed him. He was calling to me, and then ducked under the fence to the inside of the fence so he would not be near Jo. I had to protect him when leaving and going through a stall where the most layed back horse Fancy was. ha, ha, ha I thought this was funny. I guess if the shoe was on the other foot, it would not be so. So I do give hubby an A for helping even if he does not trust the horses at all. Faith is still in my thoughts as well as dear Frederick. It must have been so heart wrenching for Penny to be forced to make the decision for Faith as it was the best for Faith. I still say a Teddy bear for Freddie! Thanks for the update, Sally, and high hoof to your dear hubby for helping out with the fencing for Sir. Glad to hear Sir seems more comfortable from the chiropractic treatment. Hugz. I can’t blame your husband at one time if anyone even said “goose” I was heading for the hills….I got one given to me…ha ha ha and got over it but it took awhile.. 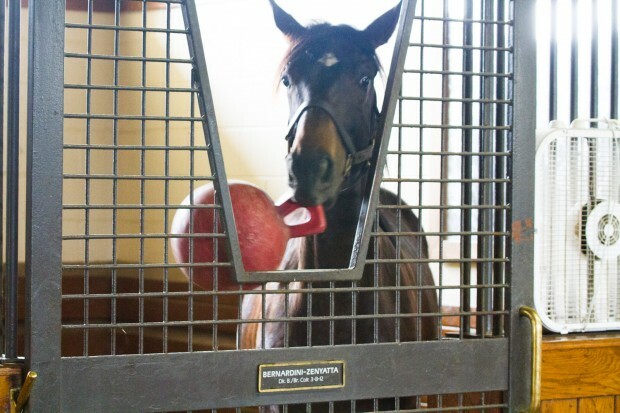 Thank you so much for the wonderful pictures of Zenyatta and her colts. When my day hasn’t been so good they bring a smile to my face. I love her!!!! Happy graduation day, Pati! High hoof! She’s off and running folks and will have a dazzling debut. Wishing you a fabulous day w/ family and friends and more cake? Enjoy! Hugs! Hovis is worried about sharing, and he would like to receive some carrots. Mares are also welcome. Love you Hovis! You do deserve some carrots for your belly! I love Hovis Fridays. be proud,Hovis,be proud. I love you to bits Hovis, and if your mum doesn’t want you anymore I’d take you in a minute!! This is just hysterical, I laughed all the way through it. Hovis is always a hit! Poor Hovis — no carrots or treats! Lets power him up with more light. If you love Paynter give him more power. Power up, Paynter. Praying for you. Safe trip to both Mucho Macho Man and Paynter. Win or lose, just come back safely! All the power to be Paynter. You are our hero! Power Up precious boy. Hovis is very handsome.Wish I could share him w/ his Mum. I have the perfect little lady for him! Hugs. I’m going to our cottage today for the next 4 months. No internet. Please look after Zenny & her boys for me while I’m gone. I pray all will remain safe. I’ll see you all in October. Everyone have a wonderful summer. Have a great, relaxing time at the cottage, Nicki. We will look forward to hearing from you come fall. Hugz. @Pati–wishing you all the best today and always. Great pictures and adorable video! Coz sure seems to love that jolly ball! Thanks for posting! You are so funny playing with that ball. That is Coz and the ball. He is a handsome fellow. Hi Z-sisters…I thought I would update all of you on Faith’s Son’s…Fredrick is still a brat that keeps Poka on her toes..LOL He is eating and growing like a weed I am sure Faith is telling him all will be good ! Topper is doing good on his lesson’s. He is learning to trust me & even Jeff. Today we worked on the KILLER fly mask ! Of course his pasture mate Koda the BLM mustang didn’t help any when he snorted & got big eyed with his fly mask …those two boys (topper & koda) are funny. I enjoy reading all your storys it is so refreshing to see so many people in different parts of the country and different disciplines all get togeather for the beautiful Zenyatta !! I am also associated with Head collars ,Lead ropes,Haynets,BOOTS AND BANDAGES,Sheepskin girth sleeves ,Gp saddlecloths,Fly masks,Dressage saddle cloths, Sheepskin girth sleeves, HORSE WEAR and love to enjoy the stuff on the same as its rarely found on internet. Thanks again for writing such a good post. I keep coming back to watch this video if Coz. He is do cute. The minute the person in the background laughs, he drops the ball like a baby. He wants the person to pick up the ball and play with him.